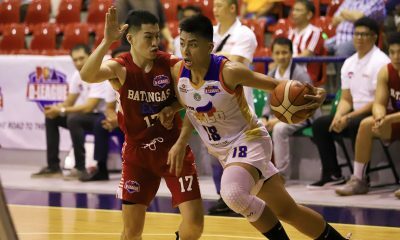 The Go for Gold Scratchers got vintage performances from Gab Banal and Jai Reyes in the clutch, as the two rescued the team for a 93-88 victory over the Marinerong Pilipino-TIP Engineers, Thursday afternoon at the Ynares Sports Arena in Pasig. The duo came up big in the final five minutes of the game as they had all but two of the Scratchers’ final 18 points to fend off a rampaging Engineers side which fought back from a 15-point deficit, 27-12 in the second quarter. 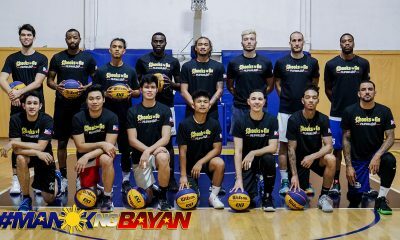 Banal unleashed 24 points, five rebounds, three assists, and three steals for Go for Gold in his first game against his former team, while Reyes went 4-of-7 from threes to wound up with 21 points, seven assists, and four boards. Paul Desiderio and Jerwin Gaco got 11 points apiece for the league-leading Go for Gold, who remain on top of the standings at 4-0. Trevis Jackson and Robbie Manalang buoyed Marinerong Pilipino-TIP back in the game, with a Manalang triple at the 4:45 mark of the fourth quarter knotting the score at 75. 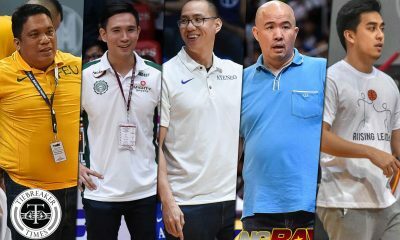 But Reyes nailed a big triple and canned a freebie off a technical foul shot, before Banal drained two more free throws to give Go for Gold an 81-75 breathing room. Despite the Scratchers building another 10-point edge, 90-80 with 1:24 left, Jackson kept the Engineers in the game and trimmed the lead down to five, 91-88, with 34 seconds remaining. 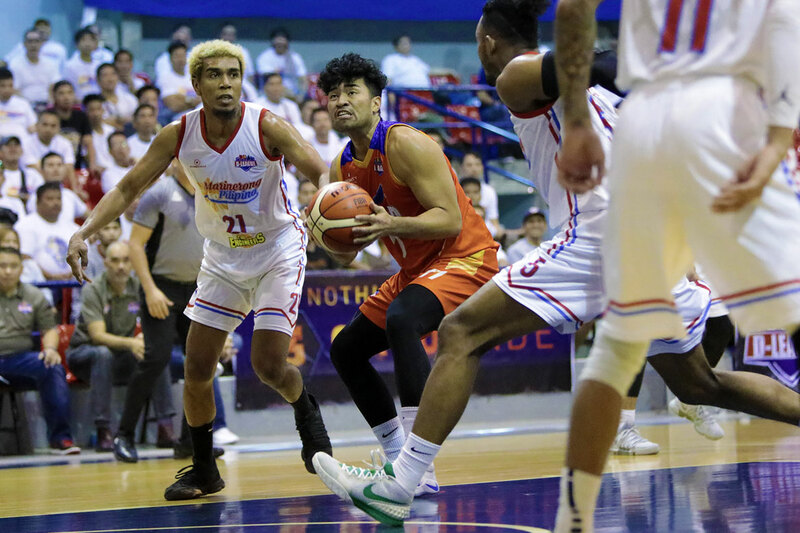 A costly traveling violation on Manalang in the last 8.6 ticks proved to be the dagger to the heart of Marinerong Pilipino-TIP, as Reyes put on the finishing touches at the charity stripe. The loss spoiled Jackson’s 34-point outburst for the Engineers. 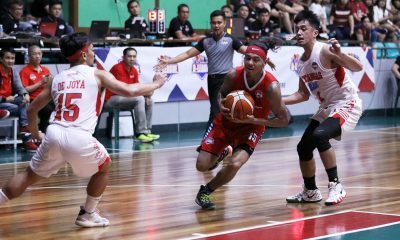 Franky Johnson also added 17 points and eight rebounds, as Marinerong Pilipino-TIP fell to 2-2. 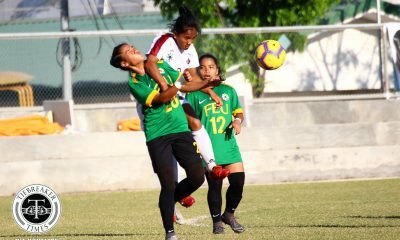 Go for Gold 93 — Banal 24, Reyes 21, Desiderio 11, Gaco 11, Tolentino 6, Dennison 5, Martinez 4, Porter 4, Salem 4, Pili 3, Castor 0. 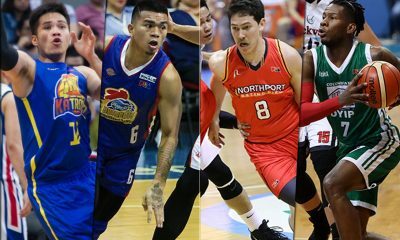 Marinerong Pilipino 88 — Jackson 34, Johnson 17, Manalang 8, Napoles 7, Prado 6, Tratter 5, Thiele 4, Ndiaye 3, Gomez de Liaño 2, B. Santos 2, Medina 0. Quarterscores: 20-12, 41-32, 70-57, 93-88.